I've had many people over the years ask me what my Favorite reptile is. 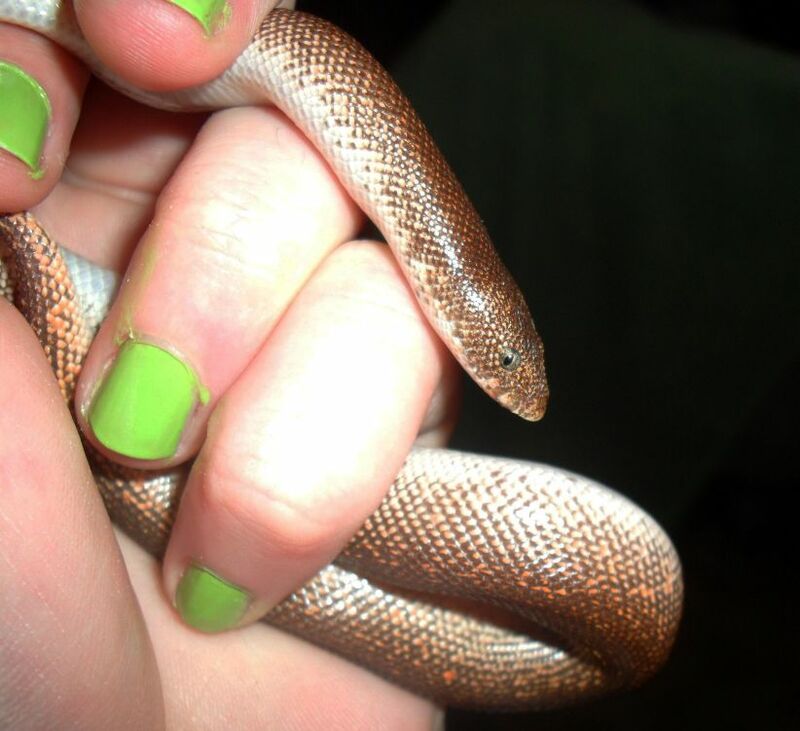 well i decided to let everyone know via a blog entry why i think Sand boas the the best! First let me tell you I have owned everything from Full grown Burmese pythons to other tiny breeds like Childrens pythons, Savu and more. I love all of them but The little Sand boa has taken my heart. And with a face like this how could i say anthing else! 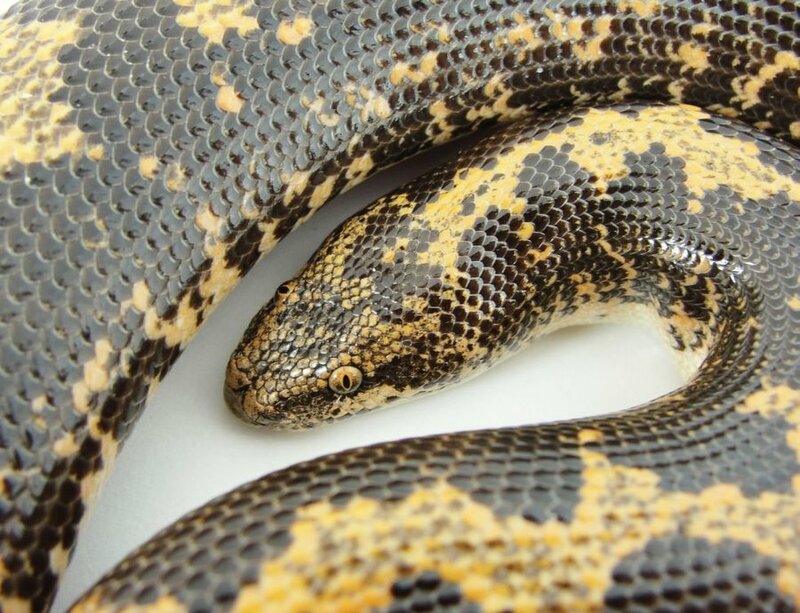 I first fell in love with the Kenyan sand boa at a Pittsburgh Reptile show about 20 years ago now! It was a small normal colored one and it look up from its little display container and wanted me i could just tell.. She came home and started the craze at my house over the years ive breed over 500 kenyan sand boas and have had all kinds of color morphs some of my fave ive taken some photos of and will share. Are sand boas for you?? Kenyan sand boas are super easy to care for small snakes rarely ever getting over 20 inches long they and have a life span of about 20 years! They can happily live in a 10 gallon tank for life. I keep my sand boas together in a large plastic tote system with good air holes and a secure lid. but most people like to display them in a tank with a screen lid. If you choose to keep sand boas in a tank I advise using an undertank heating pad under one side of the cage, left on 24/7, along with an incandescent overhead lamp during the day, to heat the air in the cage. The hotspot under the light should be approximately 95 degrees Fahrenheit and the cooler side of the enclosure should be around 80 degrees. A drop to the mid-70s at night is acceptable. I have kept Kenyan sand boas communally, with no issues whatsoever, and even feed them together however most people recomend sepratateing them for feedings. 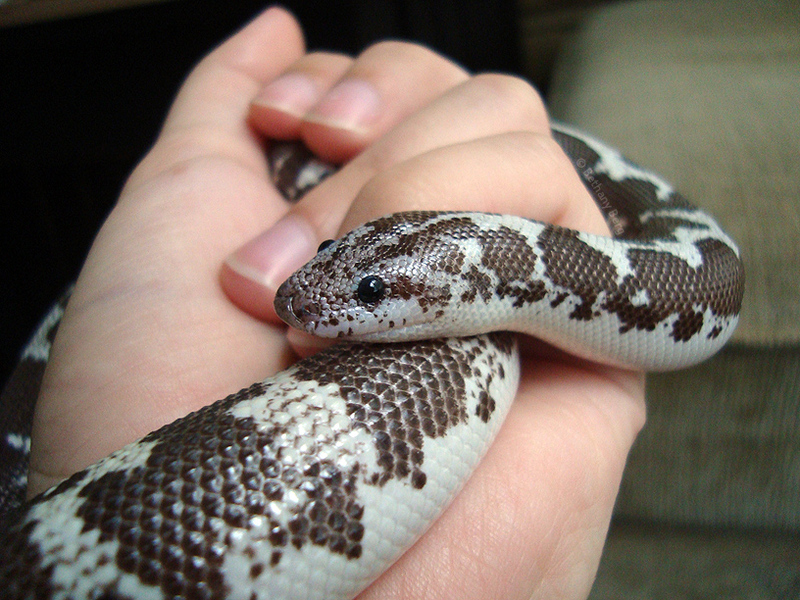 Given the Kenyan sand boa’s propensity for burrowing, cage accessories should be minimal. Heavy rocks should be avoided, unless they are firmly fastened to the enclosure. If a Kenyan sand boa burrows beneath heavy rocks and causes a mini-avalanche, the result could be injury or even death to the snake. Despite its small size, the Kenyan sand boa can be very destructive to your cage’s interior design, so décor does not need to be excessive. On my display tank ive always decorated it for the upcomming holliday just for fun! 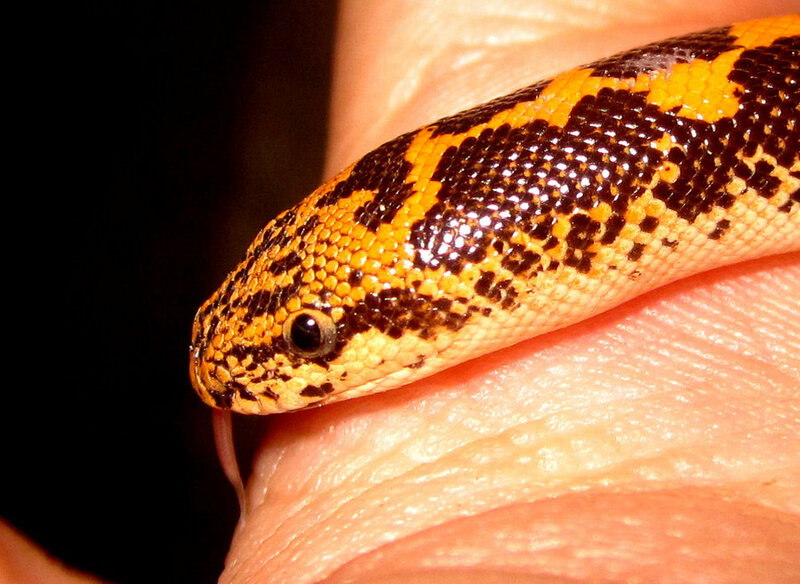 Many people naturally assume the only choice of substrate for the Kenyan sand boa is sand. 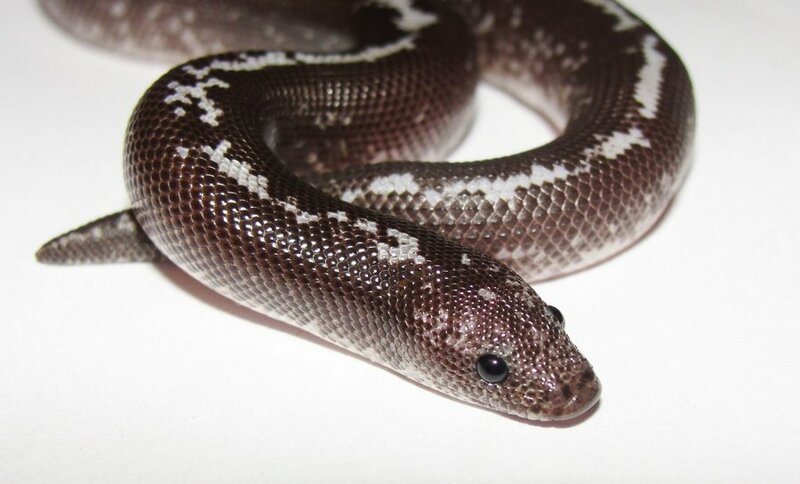 The truth is the Kenyan sand boa can be kept on a variety of substrates, including aspen bedding, coconut mulch, play sand and even newspaper. I have kept and bred Kenyan sand boas on all of these materials . I do recommend staying away from gravel, corncob bedding and, for all reptiles, cedar shavings. Feeding - Sand boas usually start off on pinky mice and a full grown female sand boad can take on a full size mouse, all of my sand boas have switched to frozen mice very easily. making them all very easy to feed to no need to try and find live pinky mice all the time. I feed my boas every 10 days. and have found this to be perfect for healthy sand boas. What else makes them cool? Color choices! 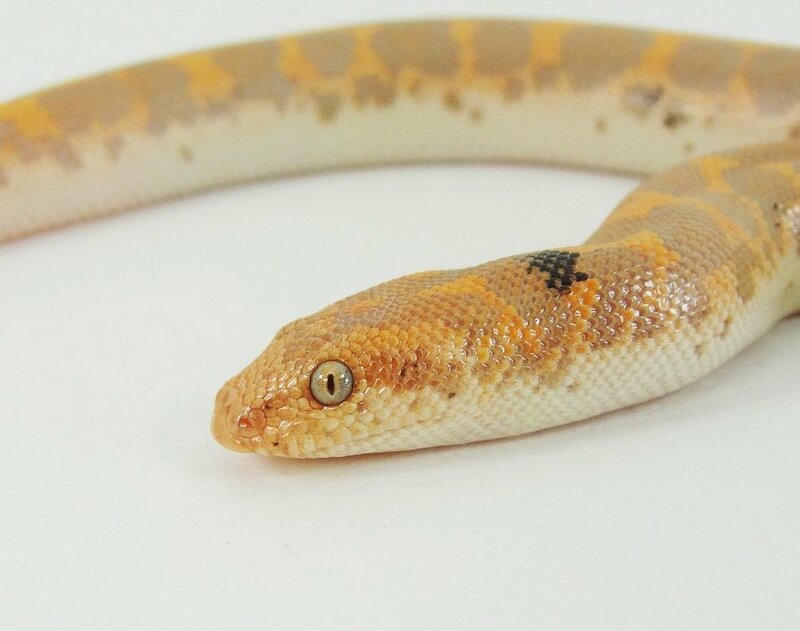 There are a ton of Cool Color Morphs out there now for the kenyan sand boa. Check out this chart i found the other day it was too cute not to share! Also Breeding is easy they give live birth and it can be a fun family project to see what color morphs you can come up with there are still tons of new morphs to come with these guys for sure! Im a sucker for the Anery i think a nice fat Anery looks like a happy cow snake and who can pass up a cow snake lol. Anyways i love seeing these guys at the show there are a hand full of vendors everymonth who display these guys for sale and i suggest you come check them out! they are a low cost, fun to play with easy to care for snake that might not scare away your mother.